Chanuka Ratwatte, along with four others who were arrested today by the Financial Crimes Investigation Division (FCID) over alleged financial fraud charges committed by them at Entrust Securities PLC, were remanded till September 28. Initial investigations revealed that they may have swindled as much as Rs. 12 billion. They were remanded on charges that they had allegedly misappropriated Rs. 4.2 billion worth of government funds under the Public Property Act. In January, the Colombo Magistrate Court impounded the passport of Chanuka Ratwatte, as well as five other directors and the general manager of Entrust Securities due to the ongoing investigation over the financial fraud. 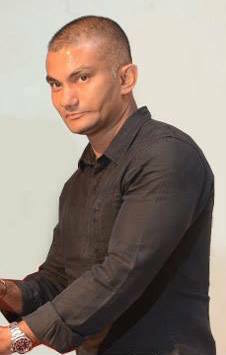 Chanuka Ratwatte, who was the Group Managing Director of Entrust Securities PLC, is the son of the one-time powerful Anuruddha Ratwatte, who held several top ministerial portfolio’s during former President Chandrika Bandaranaike Kumaratunga term. Early this year, Entrust Securities were taken over by Central Bank which appointed the National Savings Bank to oversee the management of Entrust, due to its financial crisis. Even though the Central Bank had given three months’ notice to the management at Entrust to come up with a credible restructuring programme, as the company had failed to meet the deadline, the Central Bank decided to take the company over. According to the company profile, published in the market data site of the Financial Times, Entrust Securities PLC which was located at the World Trade Centre, Colombo, was incorporated in 2000, and is engaged in buying and selling of government securities for customers. The Company is also engaged in leveraging on own portfolio in the money market. The company is a licensed primary dealer appointed by the Central Bank of Sri Lanka to deal exclusively in government treasury bills and treasury bonds. The Company is also appointed as the licensed stock dealer and stockbroker in debt securities by the Securities & Exchange Commission of Sri Lanka to exclusively deal in listed debt instruments. The Company’s immediate parent company is Entrust Holdings Limited. Its ultimate parent company is Entrust Capital Partners (Private) Limited. According to Bloomberg, Chanuka Ratwatte is listed as the Executive Director for both Entrust Ltd, and Entrust Holdings Ltd.
My Land Is Not Truly Free Until We All Free At Home: My Independence Day Wish!